Your Local Bakery in Virginia with locations in: Herndon, Ashburn and Vienna | Great Harvest Bread Co.
For over 30 years we have been using long, traditional methods of baking to create breads that are truly one-of-a-kind, simple, wholesome, and delicious. Bread. The way it ought to be! We still fresh mill our 100% whole grain flour every day. Baking from scratch was the norm for our parents, grandparents, great-grandparents, and so forth. Bread. The way it ought to be! 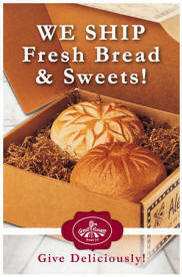 This Great Harvest Bread Co. in Herndon, Ashburn and Vienna is a dream come true — our dream! Our passion for great tasting, nutritious bread, and our desire to run a community-based business, led us to Great Harvest. 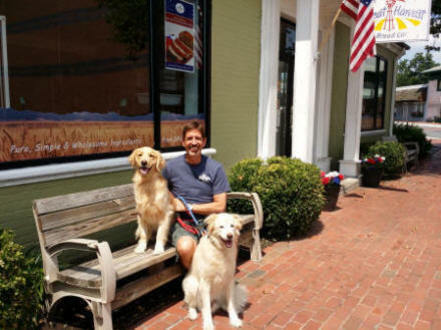 Chris and Dory want to remind you to not forget about your four legged friends and pick up some delicious dog bones made from 100 percent whole wheat flour and other yummy ingredients. Sign up below to receive our monthly menu and other special offers directly to your email account!